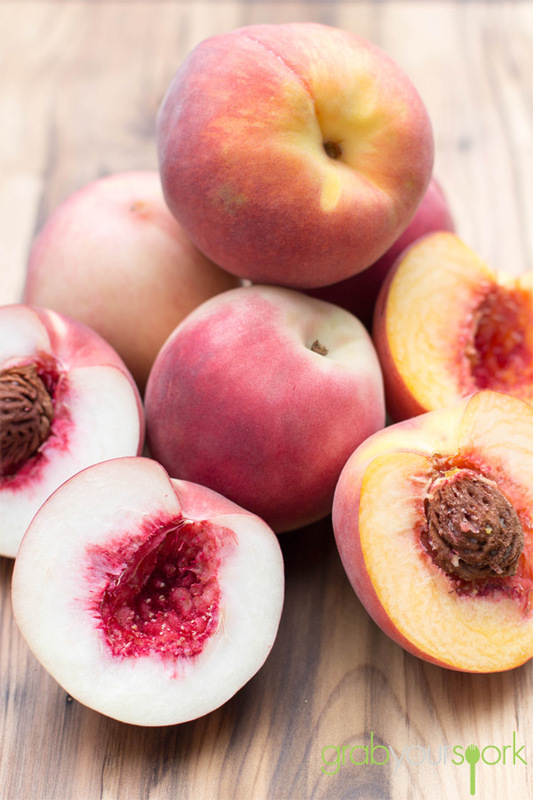 I love stone fruit season and this summer has brought an abundance of local ripe peaches. Brooke is partial to a white peach, while my preference is a yellow peach so we decided to just buy some of each. I’ve got to admit that I had never thought to grill peaches, but when Brooke and I tried some grilled peaches at The Queen Victoria night market they were so good Brooke decided to give them a try at home. 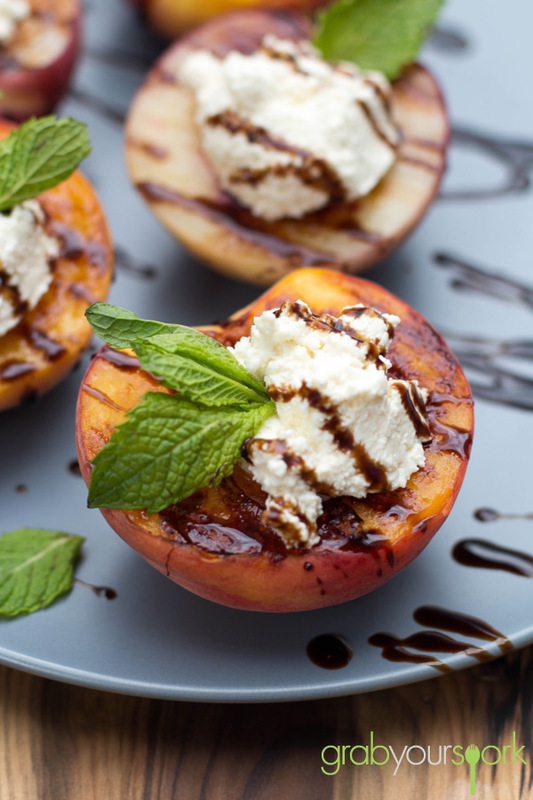 These grilled peaches with ricotta and balsamic are simple to prepare and they also look great! 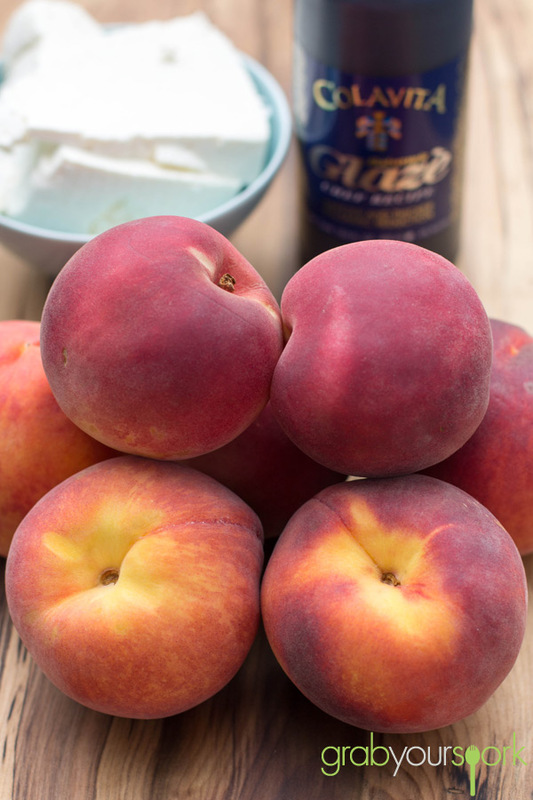 Grilled peaches make an excellent dessert to serve at dinner parties because they are so quick and easy, giving the chef ample time enjoy a wine or two. Topped with fresh creamy ricotta cheese and a drizzling of a balsamic glaze, you will feel spoiled but appreciate how fresh and healthy this dessert is. If you like fruit-based desserts then be sure to check out our Tasty Apple and Rhubarb Crumble or Fresh Fruit and Custard Tart Recipe. 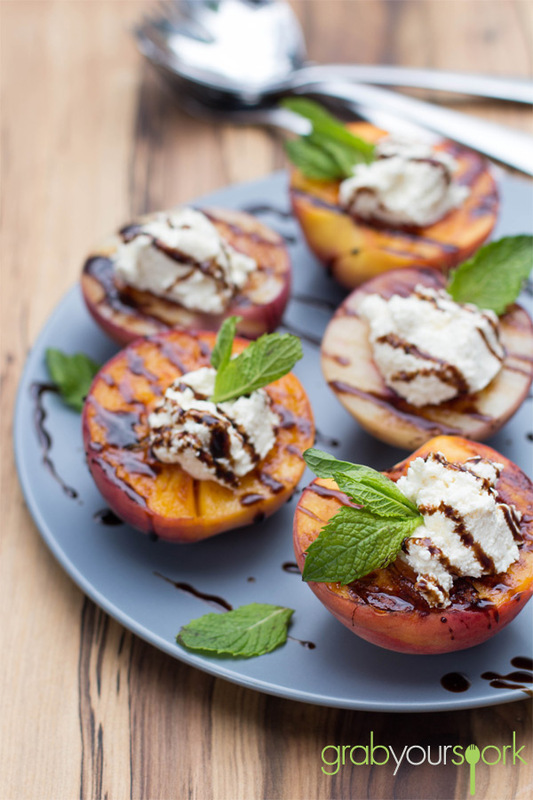 Grilled peaches topped with whipped creamy ricotta cheese and a drizzling of a balsamic glaze and fresh mint to serve. Lightly olive oil a grill pan and heat on med-high. 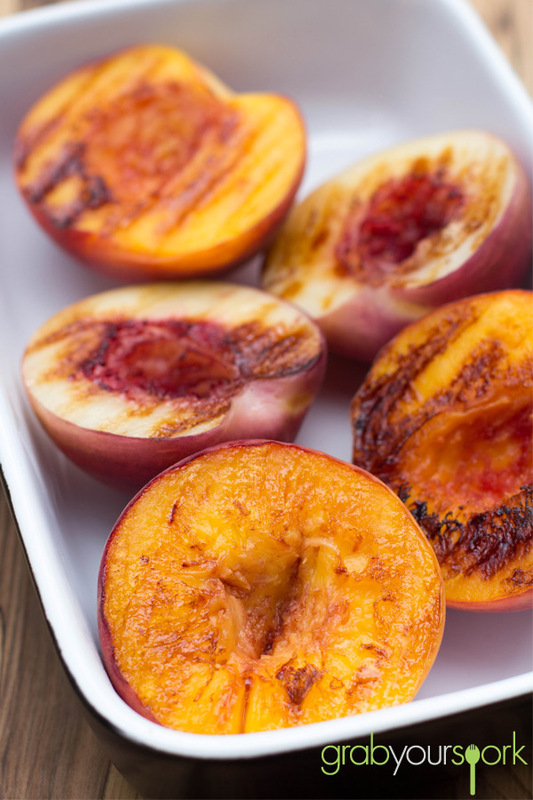 When the grill is nice and hot, grill each half peach for 4-5 minutes per side. Placed peaches on a plate with cut side facing up. Lightly whip your ricotta in a bowl to make the texture light and fluffy. Place a dollop of approximately 2 tablespoons of fresh ricotta cheese in the center of each peach half and drizzle with balsamic glaze. Top each peach half with mint.